The Center for the Opening and Development of Latin America (CADAL) is a private, non-profit and non-partisan foundation, founded on February 26, 2003 registered before the Inspección General de Justicia in Buenos Aires, Argentina. CADAL’s mission consists on research, dissemination and support to the respect of civic, political and economic liberties. For this objective, CADAL prioritizes the defense and strengthening of democracy as a cornerstone of economic and social progress, and the international promotion of human rights. To accomplish its mission CADAL produces publications and audiovisuals, organizes events, petitions to governments and entities, supports democratic activists and civil society organizations, implements public campaigns and trains young students and recent graduates. 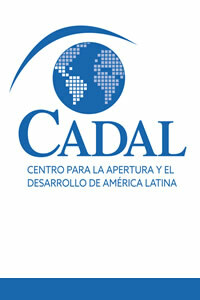 CADAL’s activities are implemented by its team from its headquarters in Buenos Aires, Argentina, also having a group of counselors from different countries formed by academics, analysts, businessmen and consultants. CADAL is member of the Network of Democracy Research Institutes (NDRI) and the International Coalition to Stop Crimes against Humanity in North Korea (ICNK). It is an Associated Institute of Democratic Platform Project and it is registered as a Civil Society Organization at the Organization of American States (OAS).